Today is the first day of Presidential Elections rallies that has been harmonized with the Electoral Commission. The Camps or Parties has travelled around the country while one candidate still works with the commission to get a go to campaign. The ones that really seem to matter is the President Museveni in Luweero, Amama Mbabazi and People’s President Dr. Kizza Besigye in Rukungiri. And the best of all, this has been very peaceful and IGP Kale Kayihura has put his tear-gas and violent men to the side. It’s rare to see so little activity from the UPF and the peace that is at venues today. Hope this continues. Because its good to see the crowds, though we surely knows that certain levels of the NRM crowds are shipped there as the Crime Preventers are taking buses back and forth from venues to listen to Mzee. But enough of that! Let’s feel the flow of the day, start with the economic situation and then address the Elections as they have unfolded. The reports are not it all, not full speeches or such. But pieces and gist’s of what has been happening. “A well-placed source at the Ministry of Finance has told Watchdog that President Museveni ordered the Ministry to arrange for him Shs500 billion. The source suspects the money is meant to fund Museveni’s campaigns. “He gave us only one week to look for the money and send it,” he said. The move came at the time some civil servants have not been paid for about three months. But that is not the sad bit. The Finance official told Watchdog website that the money had to be cut from various ministries” (Watchdog, 2015). “While asking NRM MPs to support the proposed amendments to the Public Finance law, the minister for planning, David Bahati, warned of a crisis in government, if Parliament rejects a new Bill that seeks to amend the current law to allow government, among other things, to borrow from Bank of Uganda. Daily Monitor broke the story when the Parliamentary Commission, secretly approved a 40 per cent pay rise for MPs and House staff, in a move the Clerk to Parliament, Ms Jane Kibirege said was intended to motivate members ahead of next year’s elections” (…)”However, Mr Bahati’s explanation according to sources did not go well with some senior legislators led by Mr Emmanuel Dombo (Bunyole East), who insisted that the Shs286.7b in the Contingency Fund went to State House and defence operations. Asked why government is broke, the Ministry of Finance Spokesperson, Jim Mugunga, said: “Government is not broke. Some ministries and government departments received more money in the budget.” (Mugerwa, 2015). “The Lamogi clan chief Martin Otinga Otto Yai Otuka has asked his subjects to vote for President Museveni in 2016 presidential polls, saying he has honoured pledges to develop the chiefdom. The chief made the remarks while speaking to residents at his home in Guru-guru village Lamogi Sub-county, Amuru District, while receiving a new Pajero donated to him by Mr Museveni on Friday” (Ocungi, 2015). “President Museveni has promised to increase funds for the National Agricultural Advisory Service (NAADs) to the tune of Shs1 trillion if Ugandans re-elect him in next year’s presidential elections.” (Monitor, 2015). The FDC travelled in a Team today, they we’re Gen. Mugisha Muntu, SG Hon. Nathan Nandala-Mafabi, Spokesperson Hon. Ibrahim Nganda Ssemujju, Special Mobiliser Hon. Erias Lukwago, Hon. Amuriat, Hon. Otto Odonga, Fdc Chairman Waswa Birigwa, Shifrah Lukwago and Activists Gloria Paga and Moses Byamugyisha. In Ntugamo town, people was lining up by the road with FDC signs. They had planted banana trees 10 kilometers from town and to the center of the town. At the FDC office in town Hon. Kataha was flashing the FDC sign and screaming “Kyahwa” transelated means “It’s finished”. In the same time even DP supports showed support for Dr. Kizza Besigye. In Mbabara the town was in standstill because people wanted a view of Dr. Kizza Besigye. People were screaming and even woman was crying. People have been waiting in more areas for the FDC convoy in Mpigi, Masaka, Rwengo, Lyantonde and Rushere. “Our children can’t study properly when the teachers are not properly remunerated”(…)”Our people are hoodwinked that they will be given Naads handouts and they keep walking up and down from and to Sub county offices” (…)”Why should government first extort money from citizens in form of high taxes and yet they can’t give services to the people?” (…)”Government will now begin to distribute Naada handouts since we are going in elections and you will find people thanking and praising government” (…)”If you have no power, you will never get better education or medical care” (…)”No meaningful jobs for youths when you have no power as citizens” (…)”When government over taxes you, it leaves you with no money or capital to use for production and development of yourself”. “To the people of Rukungiri, inclusive of supporters of various political parties, I would like to extend my heart felt gratitude for the overwhelming turn up and the material support you have accorded to my candidature today” (…)“The spirit shown in Rukungiri, I believe will be the catalyst of the liberation of the entire country. The wave you have began will be unstoppable, from here on ‘as we move, many people will join us, we shall assign them duties and we shall build a force to break all the obstacles before us'”. “I am the one who brought Besigye to Kitgum … Let him come here. Where is Besigye ?” Anywar fumed when she stormed the FDC meeting in Kitgum. She later left the office wailing”. In Busaana in Kayunga Professor Baryamureeba held a rally there today! Also was in Kamuli he held a public rally. Abed Bwanika held his first election rally in Kamuli. There were more people at his rally it seems then at the Prof. Barya, but that is just my eyes I guess. Elton Joseph Mabirizi: “I love you all my supporters. Keep on supporting me and encourage others to join”, he Joseph Mabirizi says this and also Maureen Kyala is supposed to hold Election rally in Busoga today. Look forward to hear the reports from their rallies in Busoga when they come. Ssekasamba and the DPC has spent the whole last night supervising and determined to take down posters of Amama Mbabazi in the town. As the morning has come the Go-Forward team has put more up. The Go-Forward team has also paid for free boda-boda rides in Masaka town. The police are heavy deployed in town. The Police have also warned Go-Forward Presidential Candidate to have a procession through town from the Golf Grounds to center of town. Amama Mbabazi on the road to Masaka where he got stopped got a special built chair and bananas by supporters. Former NRM Masaka Municipality MP Shanon Kakungulu has deflected to Go-Forward today! There is also reports that 20 other members has deflected from NRM to Go-Forward as well, seems like many leaves the Yellow-Party. To follow more up the Police and the NRM even had to have a function in the town as the Go-Forward Presidential candidate will arrive and have a rally later today. DP’s Norbert Mao has showed up to support Amama Mbabazi. There has also been set up some police barricades in town. So that Norbert Mao is stuck in a jam on the way to venue of the rally. He came to the venue and has been on stage with Vice Mukasa Mbidde and musician Big Eye. John Kawanga handed Amama Mbabazi a spear at the rally. “Thank you Masaka for turning up in big numbers to support the Go Forward campaign. We continue preaching the message of a Uganda that works for everyone”. There has been rumored that the President Museveni had a meeting and campaign rally in a town called Bamunanika. The People of the area were mad and screaming for all the promises that he has given and never kept. Also being mad at the how the Associates have taken land from them. He lost his speech and was stammering by the anger of the local residents. The second rally was held on the Kasana Ground in Luweero. Where he asked the local electorate to: “me your grandfather”. At the Kasana Ground entered Kakooza Mutale! Spokesman of the NRM Ofwono Opondo has proudly told the party has gotten themselves a call-center which was launched this morning and will call and reach up to 8 million voters during the election season. If that wasn’t enough Mzee has released his own election app and had help from an aide to get it to work on his own phone. In Kabale there has been a Radio Panelist who first escaped from arrest after orders from the Resident District Commissioner Darius Naninda who tried to catch the Anti-Corruption Activist who was taking part of a show on the Kabala Freedom Radio (Mughisa, 2015). Later is seen that he has a warrant on inciting violence. “The Southern Africa Litigation Centre (SALC) is deeply concerned about the safety of Ugandan refugees Musa Isabirye and Timothy Yamin who were deported to Uganda by Botswana Government last week. They have previously been active in opposition politics in Uganda and could face persecution, imprisonment or torture there. According to their legal representative Martin Dingake, “Their deportation took place in spite of a clear court order from the Botswana High Court interdicting such deportation. As a result the deportation is in flagrant contempt of the order of court and displays a shocking disregard by the Government of Botswana for the rule of law” (SALC, 2015). In the External Security Organization there will be a reshuffle of four of the leaders on the top. Said to be an election switch. Also, one of the leaders who is Director General of this British which is kind of illegal in this matter; they are supposed to be Ugandan nationals. “According to Airtel Uganda Corporate Social Responsibility Manager Mrs. Charity Bukenya, “Airtel Uganda has and will always welcome ideas that focus on empowerment of the youth, not only by providing them with better telecommunications solutions, but also by giving them opportunities to better their loves through the kind of exposure that AIESEC provides” (IT News Africa, 2015). There will be more to come. This is what I have for now. Hope you got enlighten about what has happen. I don’t have all the clear reports at least some to give you a feel of what has gone down. There will be more to come. Since we’re just starting on the road to February polls! Peace. This here is to prove what I have found in this report. There would be more meat to the bone if it wasn’t just from one source. But is still worth looking at and from the perspective of the donors, also who the recipients are and the size of the monies. I will take the perspective and look at directly how this affect the East African Countries. Some of the numbers aren’t surprising to those who have followed it. More the amount and changes that has been. Essentially that so many of the countries have been in the top 20 of countries receiving Humanitarian Assistance. That should be a worrying sign of the leadership. The good news for the matter in this case is that Tanzania is nearly out of it all; Burundi stopped being in the top 20 after 2008, also that Uganda went out of the list since 2010. But take a look and see if you catch some wisdom! • independence – ensuring autonomy of humanitarian objectives from political, economic, military or other objectives” (GHA, P: 20). “The UN-coordinated appeals represent the largest collective request for international humanitarian assistance” (…)”The UN-coordinated appeals are based on the needs assessed and responses planned by a group of UN agencies and NGOs in specific countries” (GHA, P: 22). “The group of 20 largest government donors of international humanitarian assistance in 2014 was largely the same as in previous years, and the US continued to provide the largest sums. However, Saudi Arabia and the United Arab Emirates joined the ten largest and 20 largest donors respectively. Driven by the conflicts in the region, total contributions from Middle Eastern donors increased by 120% from 2013” (GHA, P: 29). “Government donors gave a record amount of international humanitarian assistance in 2013, but in 2014 they gave even more – reaching a new high of US$18.7 billion. This was up by nearly a quarter (24%) from the US$15.1 billion given in 2013 and was the largest rise in volume in the past 15 years” (GHA, P: 30). “Five of the ten largest recipients were in sub-Saharan Africa – Sudan, South Sudan, Somalia, Ethiopia and Democratic Republic of Congo (DRC) – and these received a combined total of US$2.8 billion, 13% of international humanitarian response” (GHA. P: 52). This is the countries on the listed as the ones getting the most Humanitarian Assistance from 2004 – 2013. In that period the South Sudan country got 2% which is combined $2Bn. Uganda got also 2% which is combined $1,6Bn. Ethiopia got 6% which is combined $5,9Bn. Somalia got also 4% which is combined $4,7Bn. Democratic Republic of Congo got also 4% which is combined $4,6bn. Kenya got also 3% which is combined $3Bn (GHA, P: 53). (Source: Development Initiatives based on OECD, DAC, UN, OCHA FTS, UN CERF, IMF, WED and UN SCEB data). – The first number is the actual place on the table because this is the ones that was a part of the 1-20. – The amount of money is US Dollars in Millions. 6, 8 Million people affected including refugees (GHA, P: 12). 4, 7 Million people targeted in UN-Coordinated Appeals. (GHA, P: 13). The percentage of the UN Appeals that was met in 2014 was totally 46% /GHA, P: 23). The Country got in total $449M, which was the top ninth country in the world, of the pledges it got 71% and underfunded 29% this was in the year of 2013 (GHA, P: 51). The things they have mentioned the forgotten crisis the Humanitarian assistance there has no more than 3 Incidents on the FCA index since 2004. This incidents are caused by the troubles of LRA (GHA, P: 64). The Country got in total $449M, which was the top ten country in the world. This was in the year of 2012-2013 (GHA, P: 51). “Periodic incidences of inter-communal violence combined with climatic shocks and food and livelihood insecurity have left many people vulnerable and in need of assistance in Kenya over recent years. In 2013 approximately 1.7 million people were estimated to be in need of humanitarian assistance, compared with over 4.4 million people in 2012” (GHA, P: 55). The country received directly support from Saudi Arabia $ 43M in 2014, which is 6 % of the total allocations from the Arabic country (GHA, P: 35). The things they have mentioned the forgotten crisis the Humanitarian assistance after result of the refugee crisis from Somalia, there has more than 1 Incident on the FCA index since 2004 (GHA, P: 64). The things they have mentioned the forgotten crisis the Humanitarian assistance there has no more than 1 Incident on the FCA index since 2004 (GHA, P: 64). “Insecurity and displacement has left millions of people in South Sudan vulnerable and in need of assistance. Approximately 4.4 million people were estimated to be in need of humanitarian assistance in 2013. This compares to the estimated 4.6 million people requiring assistance in the country in 2012″ (GHA, P: 55). 7, 8 Million people affected including refugees. 64% of the people in the country affected (GHA, P: 12). 4, 5 Million people targeted in UN-Coordinated Appeals. 40% of population targeted in UN-Coordinated Appeals (GHA, P: 13). 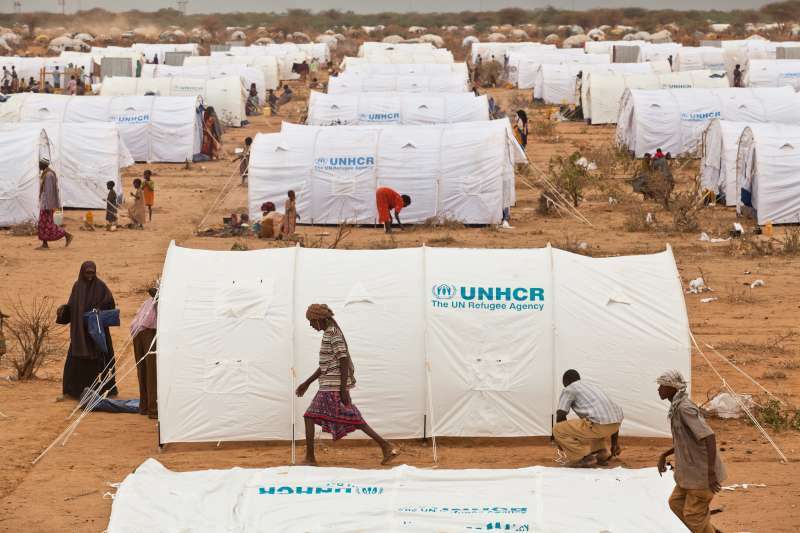 South Sudan Refugee Response Plans (RRP) UN-Coordinated Appeals in 2014 was 54 % met. The main South Sudan Appeal in 2014 was 90% met (GHA, P: 23). The Country got in total $644M, which was the top third country in the world, of the pledges it got 72% and underfunded 28% this was in the year of 2013 (GHA, P: 50). “Somalia has suffered over two decades of conflict, displacement, poor basic service provision and severe food insecurity. In 2013 around 3.2 million people were estimated to be in need of humanitarian assistance. This compares to 2012 when, at the beginning of the year, an estimated 3.8 million people were in need of humanitarian response” (GHA, P: 55). 19 % of population targeted in UN-Coordinated Appeals (GHA, P: 13). The country received directly support from Saudi Arabia $ 1M in 2013, which is 0, 4% of the total allocations from the Arabic country (GHA, P: 35). The Country got in total $458M, which was the top eight country in the world, of the pledges it got 51% and underfunded 49% this was in the year of 2012-2013 (GHA, P: 51). The things they have mentioned the forgotten crisis the Humanitarian assistance there has no more than 2 Incidents on the FCA index since 2004 (GHA, P: 64). The things they have mentioned the forgotten crisis the Humanitarian assistance after result of the war against the LRA, there has more than 3 Incidents on the FCA index since 2004 (GHA, P: 64). The numbers here are set for certain amount of time and most for the biggest receivers and donors. So what other has gotten is not in the report. But knowing the areas and situation there been more money donated then I have seen here. This money and contexts are set for one set of people and their struggles. The numbers will be different for 2015 because of the new progressions that has been in the countries. The results and share difference is not only with the more Internal Displaced People (IDPs), but also with refugees from their neighboring countries. This with the continuation of fighting internally in the South Sudan has led into people fleeing to Kenya and Uganda. We will hope that the new peace agreement will lead again to more stability in South Sudan. As there has been people fleeing from LRA in DRC as they still have ability to come down there from C.A.R. The Burundian sham election and third term for Pierre Nkurunziza will make more humanitarian assistance in Tanzania and Uganda. This will lead to more pledges in the next year, even if there might be cuts of direct Governmental donor funds directly to Burundi as reactions to the situation which is now in place. So because of this I am sure the numbers and statistics will be different. Still, it’s still healthy to see what it was in this report. And what it really says about the countries. That you usually wouldn’t read in the paper. That’s why I picked this numbers and quotes in, so you get something inspiring and seeing how things are changing. All amounts of monies are in US Dollars. Just so you know! Peace.